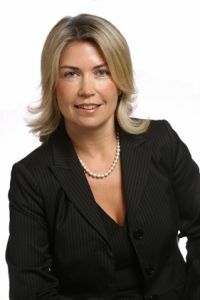 LK Shields Solicitors is a corporate and commercial law firm in Dublin, Ireland. Consistently and independently rated as a leading law firm, we successfully compete in the top tier of the market for legal business in Ireland. In an increasingly sophisticated legal market we believe that it is our job to add value. This means providing accessible and decisive input. We focus on providing solutions for our clients and being their business partners rather than merely legal advisors. Clients and market commentators have consistently noted that we are characterized by our pragmatism and business acumen, our capabilities and the quality of our work, our responsiveness and the value that we provide. 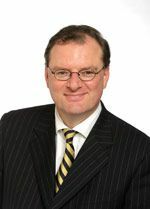 LK Shields Solicitors is structured around three integrated departments: Corporate and Commercial, Litigation and Dispute Resolution and Commercial Property. These integrated departments are supported by specialist units and practice areas, which capitalise on the talents of all the solicitors in our firm. This means that clients have access to the skills that are most suitable for their requirements. This flexible structure along with our dynamic business environment enables us to consistently deliver quality legal services in all practice areas. Our Corporate and Commercial Department has a market leading reputation. We are known for general corporate and commercial work and, in particular, mergers and acquisitions, corporate and project finance, restructuring, intellectual property and technology, banking and financial services, EU and competition, energy, environment projects and public procurement. Employment, Pensions and Employee Benefits and Corporate Restructuring and Insolvency are two of our significant cross-departmental units - these have always been core components of our practice and business - illustrated by our expertise and reputation in these areas. Our Litigation and Dispute Resolution Department houses one of the top teams of litigators in the city. The team continues to act in numerous high profile cases, including representing clients before the Commercial Court, requiring intensive activity and fast turnaround. 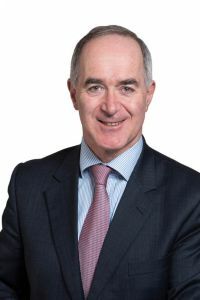 This Department continues to expand its litigation, arbitration and mediation services for commercial clients in the Irish courts and in international disputes. The Commercial Property Department advises on all matters relating to real estate and commercial property, which includes planning, environment, construction, leasing and development. They advise on premium-value, landmark property transactions and are highly recommended for their technical knowledge and commercial sensibility. We were founded in 1988 - we now number 24 partners, over 70 fee earners and upwards of 125 employees. Our growth and success over the years has been due to the strength of the relationships we develop with our clients and supporters, our ambition and the quality of our lawyers. Our clients are enterprising Irish and international businesses and organisations. We also advise state entities and statutory bodies. All of our departments have advised on high profile deals and cases that have attracted media attention and they have been recommended by independent publications including Chambers Global, Chambers Europe, The Legal 500 and PLC Which Lawyer? Yearbook.